Lower short Cabinet 16.5 x 11 x 9 (L X B X H) . 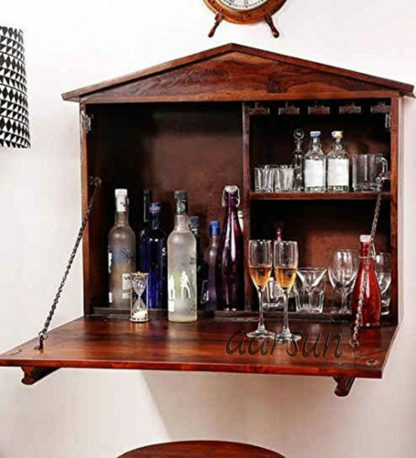 Promoting premium range of Bar Cabinets by Aarsun Woods. 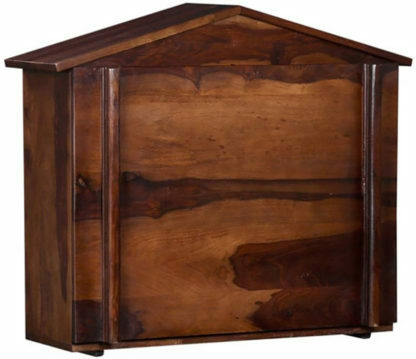 Bar Cabinets provided by Aarsun Woods are all handcrafted and made from quality Mango Wood. 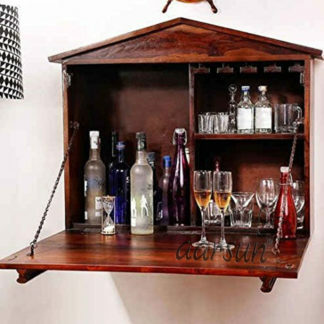 Handmade Wooden Wall Hanging Bar Cabinet | Wine Rack | Bar Unit has a simplistic planar design that blends into almost any kind of interiors; be it a traditional or a modern home. 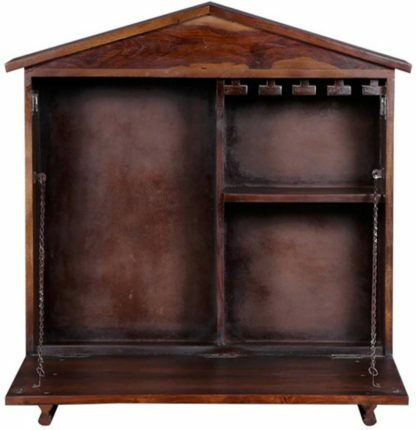 The Bar Unit has a unique Lid Style Opening in front that leads to a large space for all your liquor. 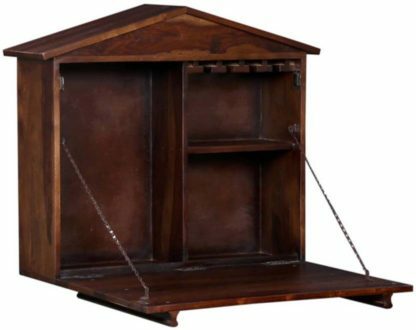 The insides of the wine rack has wine holders stacked at the top shelf with large side space for other accessories. The bar unit has a smooth solid finish and is available in a variety of shades: Natural Wood and Dark Walnut . 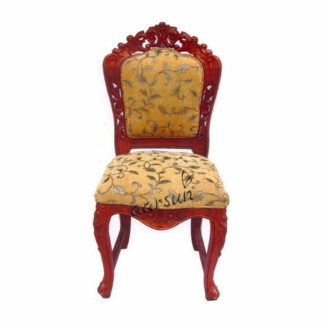 We excel in customization and believe in providing the products exactly as needed by our clients. Contact us via Chat / Email or call us at +91-8192999135 / 8266888634 for customization requests and exact delivery time-frame in your area. The design and the size can be changed according to your need.